The title is self-explanatory, so here goes! Favorite first, least favorite second. Please Please Me : "Please Please Me ." I love the harmonica, harmonies and fluffed line. "Anna(Go to Him)." The vocals are nauseating(to me). With the Beatles: "Money(That's What I Want)." It's so raw. (It also makes me go, "Oh, John! I'm too young for you!") "Hold Me Tight ." It just irritates me. A Hard Day's Night: "I Should Have Known Better ." Obviously I've been liking a lot of John songs! But I love its scene in the movie, and it makes me think of it every time I hear it. "When I Get Home ." See "Hold Me Tight ." Help ! : "Tell Me What You See ." I'm religious(don't ask what, I won't tell you), and the lyrics sound like something Jesus would say. In fact, I was playing it out of a song book for my brother JoJo(not his real name) and I couldn't finish it for crying. 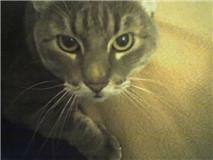 "Dizzy Miss Lizzy ." (ducks) It just ruins the mood of "Yesterday ." Rubber Soul : "In My Life ." That, I hope, needs no explanation. The last track. (I don't say, or type, its name. It's a long story.) A song in the first person about killing doesn't sit well with me. Revolver : "For No One ." See "In My Life ." Fine. I'll explain. They both have awesome instrumental solos, and they both make me want to cry. Also, they both have their "mood" shattered by the next track. "Here, There, and Everywhere." (ducks again) It's too sappy for me. Maybe I'll grow into it. Sgt. Pepper 's Lonely Hearts Club Band: "A Day In The Life ." It just seems a perfect collaboration of John and Paul. "Fixing A Hole ." It drives me insane. Maybe it's the harpsichord. 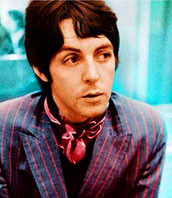 Magical Mystery Tour : "I Am The Walrus ." All I can say: Goo goo g'joob. "Magical Mystery Tour ." It's annoying, but since Paul is playing in concert soon, my mom plans on making a sign that says, "All is forgiven, Paul. Even 'Magical Mystery Tour .'" The Beatles: "Revolution 1 ." Man, that was tricky. I like that version better than the single version. (ducks yet again) I am also partial to "Ob-La-Di, Ob-La-Da " and "The Continuing Story Of Bungalow Bill ." "Why Don't We Do it in the Road?" Yes, this is worse (to me) than "Revolution 9 ." Let it Be: (Yes, I rank this before Abbey Road . Deal with it.) "Two of Us." I like watching them share a camera. There's a faster version of it, and I like that maybe a wee bit better. "The Long And Winding Road ." It could do without Spectorization. Abbey Road : Does the medley count? If it doesn't, "Here Comes The Sun ." Probably George's best song, ever. "I Want You(She's So Heavy)." It's too long for me. But I like watching people jump at the end. Past Masters : Yes, I'm doing the singles. "Paperback Writer ." For a time, this was my favorite song ever. Then, "Nowhere Man " replaced it. Funnily enough, it's my favorite song, but not my favorite Rubber Soul song! "The Ballad Of John And Yoko ." Sorry, it's just irritating. I'm not really a fan of anyone singing songs about how everyone is out to get them. Volume 1: "We Can Work It Out ." Gotta love the harmonium! "Slow Down ." I'm not a fan of the covers as singles in general. But "This Boy " was definitely competition. Volume 2: Both my earlier faves were from Volume 2. Revolver - F: For No One , LF: ??? SPLHCB - F: A Day In The Life , LF: ???? MMT- F: All of them! Yellow Submarine - F: It's All Too Much, LF: ?? I'm in love, but I'm lazy. I've got a hole in my pocket! I agree. If I Fell didn't capture my attention. "The best band? The Beatles. The most overrated band? The Beatles." Help - F: You're Gonna Lose That Girl, Ticket To Ride . LF: Dizzy Miss Lizzy . Two of Us & I've Got a Feeling/...dunno. Tongue, lose thy light. Moon, take thy flight… see ya, George! Okay, this is going to be hard. F - I Saw Her Standing There , Please Please Me , Twist And Shout . Basically, the great rockers of the album. Gotta love Paul's bassline in I Saw Her Standing There . F - All My Loving , Devil In Her Heart , I Wanna Be Your Man . I love the clangy guitar and the wandering bass in All My Loving , and I can just imagine Devil In Her Heart being in a musical. It seems perfect for it, ahaha. Plus I just like it. 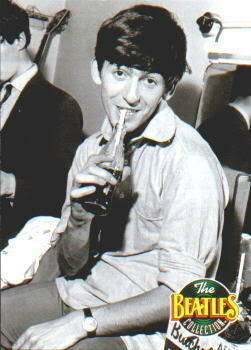 I Wanna Be Your Man is probably my favourite Ringo song. LF - Little Child . I just don't like this song. There's something about it that I don't like, but I have no idea what it is. ). I like the chorus and the bit after it in When I Get Home . LF - I'll Be Back. I just don't like it. F - No Reply , I'm a Loser. 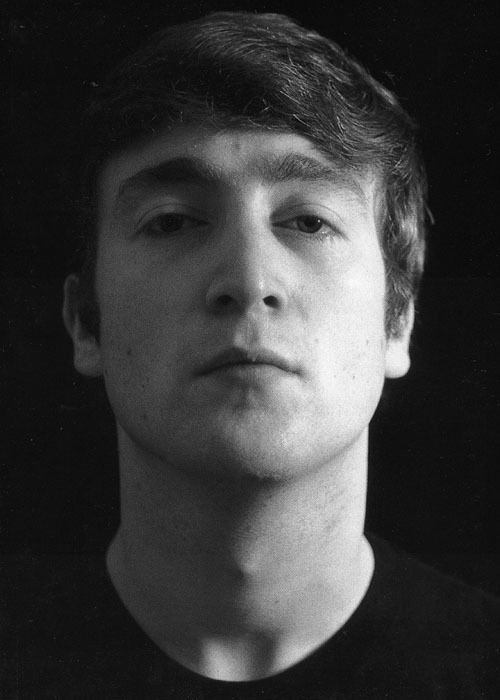 The first three songs on the album are all John, and early evidence of his Fat Elvis period (as he called it). Plus they're great songs (I don't really like Baby's in Black though). LF - Mr. Moonlight. It starts off with a bang, then goes downhill. F - Help !, I've Just Seen a Face, The Night Before , Ticket To Ride , Yesterday . This is one of my favourite albums, and I couldn't narrow it down very well. They're just all great tracks! LF - Dizzy Miss Lizzy . I'm not a fan of most covers (there are exceptions though), and it sort of ruins the mood of Yesterday , as Mean Mrs. Mustard said. F - I'm Looking Through You, In My Life , You Won't See Me, Think For Yourself , The Word , Girl, Norwegian Wood , Drive My Car . Most of the album, in short. It's a really good album, with almost every track being awesome. LF - That Song That Shall Not Named. We all know which one I mean. I don't really have a problem with the song, I just don't like it. It seems like the Voldemort of this board, ahaha. F - Taxman , Eleanor Rigby , For No-One, Got To Get You Into My Life , Tomorrow Never Knows . My lists are really getting longer now, but the albums are really getting better. The simplicity of For No-One, the brass of Got To Get You Into My Life , the rawness of Taxman , and how groundbreaking Tomorrow Never Knows is. LF - Dr. Robert, She Said She Said , Here, There And Everywhere . Dr. Robert and She Said She Said aren't bad songs, but they pale in comparison to the rest of the album. Here, There And Everywhere is good, but too sappy for my tastes. F - Pretty much the whole album. It's just great. LF - Within You, Without You, Fixing A Hole . Within You, Without You is a great song, but it's not something that I would listen to on a daily basis. It's genius, but it's not something you can listen to all the time. Fixing A Hole , on the other hand, I just don't really like as much as the other songs. F - Strawberry Fields Forever , Hello Goodbye , Your Mother Should Know . 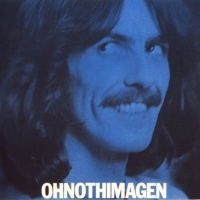 Hello Goodbye and Your Mother Should Know are just fun songs, and I don't need to explain Strawberry Fields. It's just incredible. LF - Blue Jay Way . It's sort of droning, and I know that was the point, but it seems to just go on. F - Back In The USSR , Dear Prudence , While My Guitar Gently Weeps , Happiness Is A Warm Gun . The first two, apart from being great songs, show that Paul was actually a great drummer. The drums towards the end of Dear Prudence are awesome. 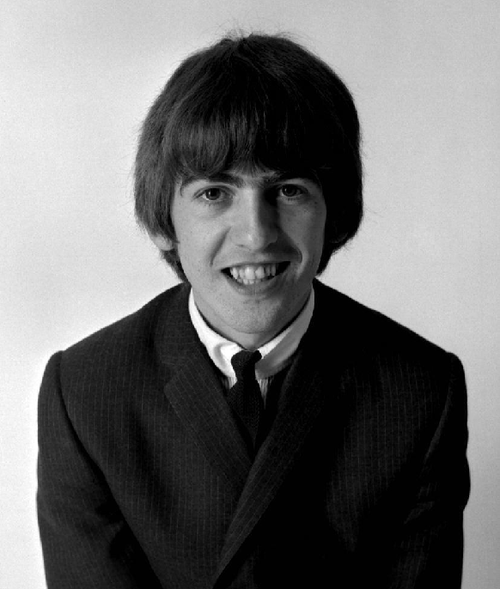 While My Guitar Gently Weeps is a really great song, and it's a shame that George didn't get as many songs on the albums that he should have. Happiness Is A Warm Gun is really good, and there's just something about it that I like. LF - Piggies . I don't think it was a serious song, but even so, it's one of my least favourite Beatles songs. F - Birthday , Yer Blues , Everybody's Got Somebody to Hide Except Me and My Monkey, Helter Skelter , Savoy Truffle . I like the brass in Savoy Truffle , and the others are great rockers. F - Hey Bulldog . It's a great song. Great bass, great guitar, great drums, great piano. Just great. LF - Only A Northern Song . I know it's meant to drone on, but that doesn't make it any more tolerable. Still an alright song, though. F - Let it Be, Two of Us, I Me Mine , Get Back , The Long And Winding Road . LF - Dig It , Maggie Mae . They're just sort of album filler, really. Not that they do much filling, they're only about 45 seconds each! LF - Sun King . I still like it, but just not as much as the rest of the album. That's how it is with most of the LF songs on this list. I like them, just not as much as the others on the album. LF - Matchbox . I just don't like it. Also, I realise that most of the Ringo sung songs have ended up in LF. It's not his fault, it's just that Paul and John didn't give him very good songs to sing. I like Octopus's Garden, though! There's a reason all these songs became singles. I also love the fact that just by listening to the Past Masters albums, you can watch the progression of their music within an hour and a half. LF - The Ballad Of John And Yoko . It's not that it's a bad song, it's just not as good as the others. And there you have it! Looking back, I have about 3 or 4 favourites from each album. It took me way too long to do this, so I don't want to go back and delete some. Plus I wouldn't be able to pick which ones to get rid of, ahaha. I would have probably gotten it if you had used CamelCase, like so: "SCiTtBW." (1st, fave, 2nd, least fave) Keep in mind that I still love every Beatles song to death. PPM : Please Please Me /Do You Want To Know A Secret ? This may be a bit biased due to my love of Georgie and John. Agreed, agreed. A bit of a miss on old Paulie's part. A Hard Day's Night: Tell Me Why and maybe I'll Be Back because it doesn't fit the tone of the rest of the album, it's too dark a song to end the album. Also, When I Get Home , but saved because "I'm gonna love you til the cows come home," not because it's a romantic line (by any means) but I always crack up when I hear it. It's random. Rubber Soul : In My Life always gets me verklempt. No matter what. Run For Your Life . I can accept that John wanted to do a song like Elvis' "Let's Play House," and there are a LOT of jealous feelings in early Beatles songs, no doubt. I know that it is a product of the time they lived in, and each of them certainly evolved. However, no other song screams "RESTRAINING ORDER!!!1!!" like this one. Sgt. Pepper : Agh, either Lucy In The Sky With Diamonds or Lovely Rita . I love Lucy's imagery. I love how Paul and Ringo support Lovely Rita . There's some interesting rhythms going on in the mix. The worst song: maybe The Being for the Benefit of Mr. Kite. Magical Mystery Tour : Penny Lane . Blue Jay Way . The White Album (part 1): Dear Prudence . Maybe Rocky Raccoon , probably for the same reasons people don't like Ob-La-Di, Ob-La-Da . It's too throwaway for me. Special points to Why Don't We Do It In the Road, as it's Paul's sarcastic response to John's challenge to write something rough and dirty. And then "I Will " comes on immediately after. You couldn't have planned that line-up any better. The White Album (part 2): Long, Long, Long . Revolution 9 . Yellow Submarine : The new songs on here are all good, as far as I'm concerned. I'd rank them It's All Too Much, Hey Bulldog , All Together Now , and then Only A Northern Song . Abbey Road : This is where it gets really unfair, because most of the second side is just really, amazingly good. Here Comes The Sun got me through some really tough patches growing up, and I especially love how it comes right after I Want You (She's So Heavy). The ending that drags and plods along always gave me the image of someone plodding through snow and wind in the middle of the night. And whether they intended it to sound like that and have Here Cones The Sun break it up, I'll never know, but that's what I get out of it. And so, I'll say my least favorite on here is "I Want You (She's So Heavy)." Let It Be : Let It Be was another song that got me through a lot while growing up. I really just can't stand The Long And Winding Road . Maybe it *is* Spector's fault, but ugh…it's overdone. Past Masters Vol. 1: Easily, I Feel Fine . Maybe Yes It Is or Matchbox . Thanks for reading my book! Please Please Me : F- I Saw Her Standing There . Great vocals by Paul, a great bass line, and very catch lyrics. Boys - One of Ringo's better vocal preformances and you've just got to love those sho wops in it. LF- Misery I"m not a big fan of the vocals on the song. LF- Little Child - Not a fan of the harmonica or the vocals. Not one of John's better songs. A Hard Days Night: F- Things We Said Today - Paul's emotion in the song really gets to me. If I Fell - The vocals by John and the harmonies make me spell bound. The lyrics are also really touching. Beatles For Sale : F- Everybody's Trying To Be My Baby- I could just imagine that happening to George. Also love how you can really hear George's acccent in it. LF- Mr.Moonlight- Bad vocals, bad playing, pretty much just bad in general. Only song by them I could ever say that of. Help ! : F- Another Girl - Love the part of the movie for the song. Also like the vibe you get from it. LF- Tell Me What You See - Just don't really like it. Rubber Soul : F- Run For Your Life - Not quite sure why I love this track so much, but I just think it's pretty awsome. And the song is not like Voldermort at all. 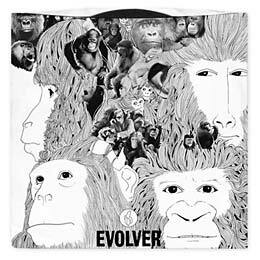 Revolver : F- Here There And Everywhere - Paul's vocals are so nice. And the song is so romantic. At least I think it is. LF- I just can't choose a least favorite on this album. There all too good! MMT: F- I Am The Walrus - The imagry and the oddness of the song make me love it. Sgt. Pepper : F- Getting Better - I like how it's upbeat and positive. Even though some of the lyrics are not so positive. LF- She's Leaving Home- Not so sure why everyone loves this song so much. It gets on my nerves quite frankly. White Album 1: F- Glass Onion - I like all the alluding to past songs in it. White Album 2: F- Mother Nature's Son- Well it pretty much is my username, and I love the lyrics and the acoustics on it. A very peaceful track. LF- Revolution 9 - It's just a jumble of noises. Not a song at all. Yellow Submarine : F- Hey Bulldog - A good song. Fun to sing along with too. LF- It's All To Much- All that noise just gets to me. Kind of like on Revolution 9 . Except It's All To Much acutally has some lyrics. Let it Be: F- I Me Mine - I like how it's kind of guitar heavy. I'm really liking the more instrumental heavy songs lately. LF- Maggie May- Wasn't done very well. Abbey Road : F- Here Comes The Sun - The optimism of the song. And it's the song that helps me to stop being depressed. LF- Another album where I can't choose a least favorite. The whole album is just so good. LF- I'll Get You- Not very good vocals. LF- Ballad Of John And Yoko- Not a fan.